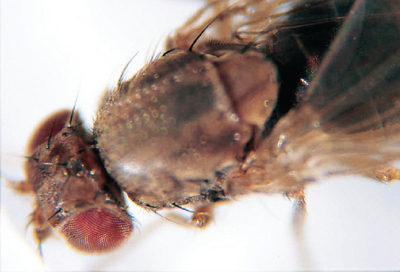 One of the largest Drosophila species. Useful for preparing salivary gland chromosome squashes. Mature Drosophila are cultured in our own labs, and are marked with the culture initiation date. Culture is shipped in our instant medium in a shatterproof vial. The Fruit Fly pupae will usually appear within ten days of the ship date. You will also receive WARD’S Drosophila Culture Guide. Note: We can supply any of our single strains in the larger quantity for 100 students. Call our Customer Service department for details.